Davey Auto Sales > Used Vehicles > What’s Your SUV Style? From clothing to hairstyles and even SUVs, everyone has their own style. Sometimes a person’s style can be influenced by practical reasons, like a guy who works outside during the winter who grows a beard to help keep his face warm. There are other times where it comes from your own personal taste without any particular reason other than your gut feeling, like when you can’t help but wear those vintage bell bottoms you found in the back of your closet. 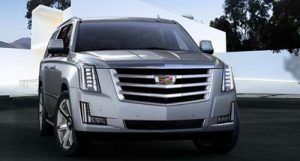 Just like pants and beards, your reasons for deciding on a specific style of SUV will likely be a mix of practical and not-so-practical. We want to help you find your SUV style and put together a quick guide so you can decide what the right SUV style is for your lifestyle. There is no other SUV as recognized for its off-road capabilities as the Jeep Wrangler. 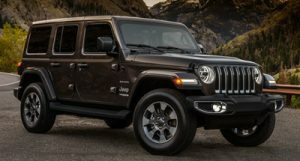 It’s not flashy, and with a simple and rugged design, the Jeep Wrangler is the perfect SUV for the adventurous type that loves to hit the trails on their mountain bike on the weekend, or go deep into the bush and make your own path. If your style is all about adventure and outdoor fun, the Jeep Wrangler could be the right SUV for you. The Jeep Wrangler Trailhawk is the polished SUV with a wild side. Perfectly at home running errands and picking the kids up at school, the Jeep Compass Trailhawk can still let its hair down on weekends. 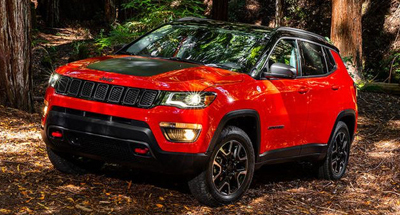 It’s a stylish and spacious SUV, but take a closer look and you’ll quickly realize this is a trail-rated 4x4 off-road machine. Compared to the Wrangler, this is an off-road SUV that’s a bit more modern-looking and refined. The name says it all: the Escalade screams luxury. It’s big, spacious, and nearly impossible to ignore on the road. The chrome grille, chrome accents, and running boards let everyone know that you’re no wallflower. On the inside you’re treated to an amazing range of features, including a heads-up display, navigation, power leather front seats, a touch screen, and A/C, just to name a few. And, in case you didn’t notice, it’s so big it can seat 7 passengers comfortably. 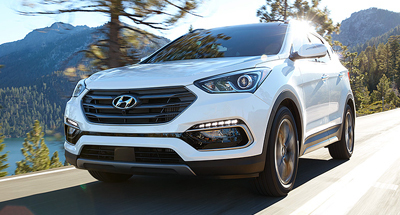 The Hyundai Santa Fe Sport is the right crossover utility vehicle (CUV) for anyone in need of versatility. It’s big enough to fit a small family comfortably, and small enough to provide a fun, agile, fuel efficient ride. Most of all, if safety is your style, the Santa Fe sport is packed with advanced safety features. Did you find the SUV that fits your style on our list? We have plenty of other SUV options, so browse our inventory and find your next SUV today.